From time to time, you may need to give your students extra time or an extra attempt to take a quiz. This post will explain how to accomplish these actions. 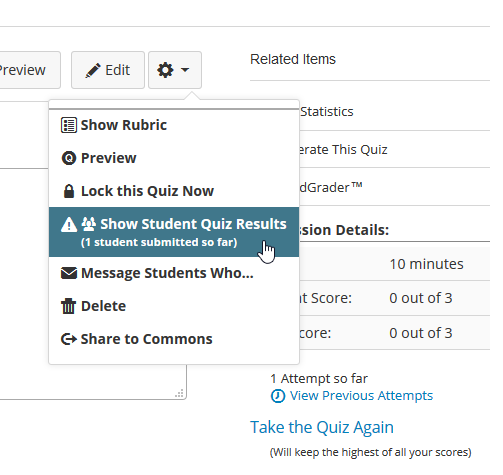 One way you can give students extra time or attempts is through Canvas’ Moderate This Quiz feature. Follow these steps to use this feature. 2. Click to enter your course. 3. Click Quizzes, and then click the actual quiz. 4. Click Moderate This Quiz. 5. 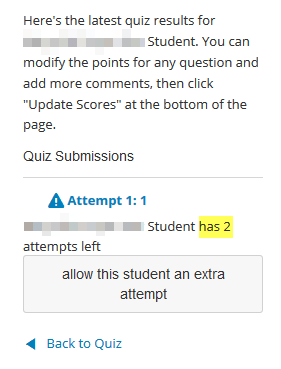 Click the pencil icon next to a student you want to give extra time/attempts to. 6. Type the number of Extra Attempts or Extra time on every attempt. 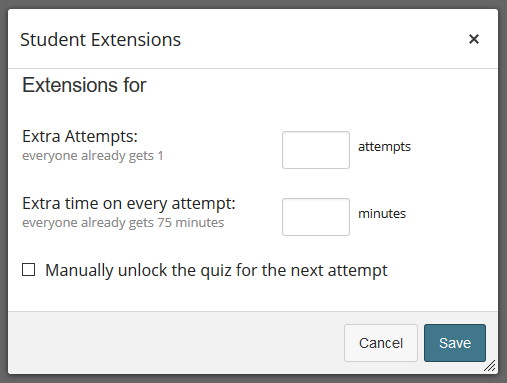 If the quiz is already complete due to accessibility dates, select Manually unlock the quiz for the next attempt. 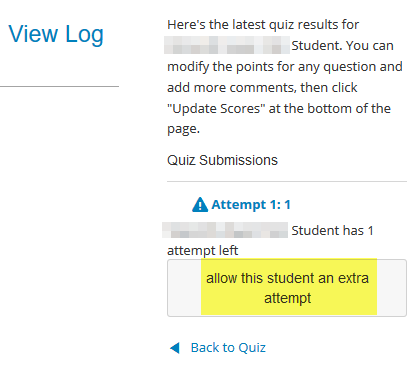 Another way you can give students extra quiz attempts is through Quiz Results. Follow these steps to use this feature. 1. From the quiz, click the settings gear icon. 2. Click Show Student Quiz Results. 3. Click the student’s name. 4. Click allow this student an extra attempt. 5. The new amount of attempts left will be reflected. Please contact us with questions about Canvas.